The Tomb of Khải Định (Vietnamese: Lăng Khải Định), officially Ứng Mausoleum (Ứng lăng), is located in Chau Chu mountain near Huế in Vietnam. 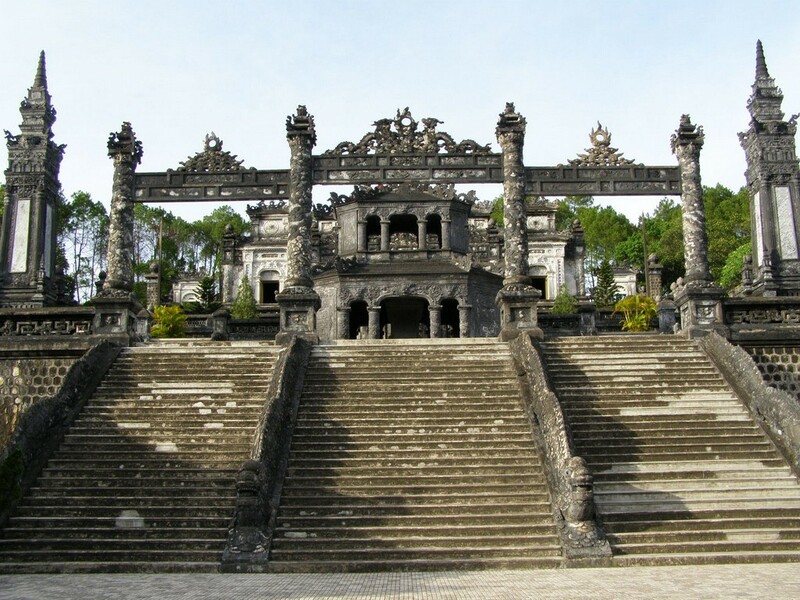 It was built for Khải Định, the twelfth Emperor of the Nguyễn dynasty. It was built from 1920 to 1931 taking 11 years to complete. The tomb is a blend of Western and Eastern architecture. 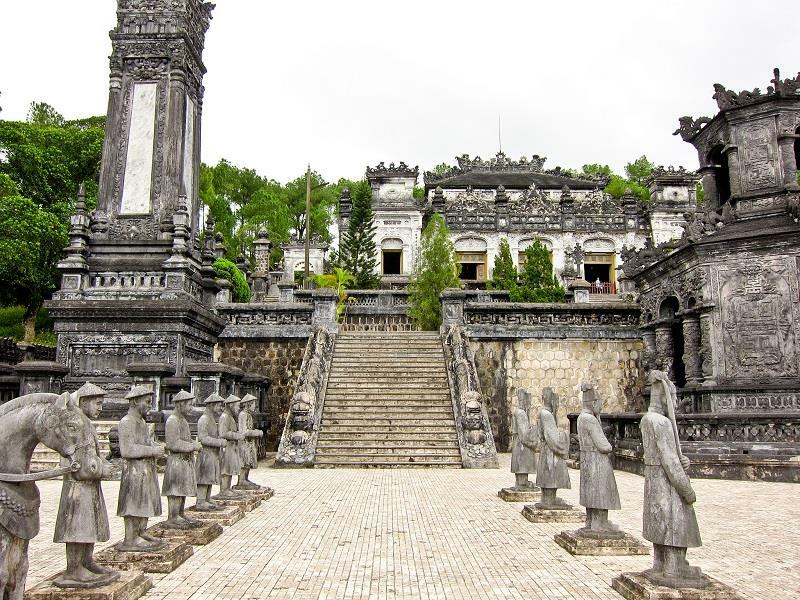 It is located on a steep hill outside of the capital city of Huế. In 1916, Khải Định became the Emperor of Vietnam. The Emperor worked closely with the government of France, and by the end of his reign he was considered to be nothing more than "a salaried employee of the French government. "Due to this close collaboration, he was very unpopular amongst the people of Vietnam. Like a number of Vietnamese emperors, Khải Định desired the preparation of a tomb in anticipation of his death, but he was the last member of the Nguyễn Dynasty to make this decision. Construction began in 1920 and concluded in 1931, with the Emperor increasing tax by 30 percent to fund the lavish mausoleum. Before his 1925 death, the Emperor visited France where he was likely influenced by the architectural styles there, evidenced by the European influences in his Oriental mausoleum. The tomb was completed by Bảo Đại, Khải Định's successor, in 1931.